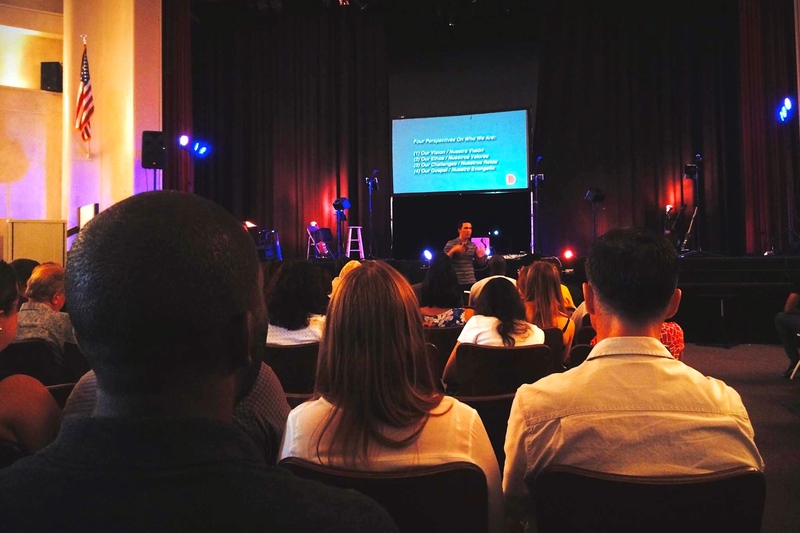 Yesterday I led communion at our Harbor Mid-City church. 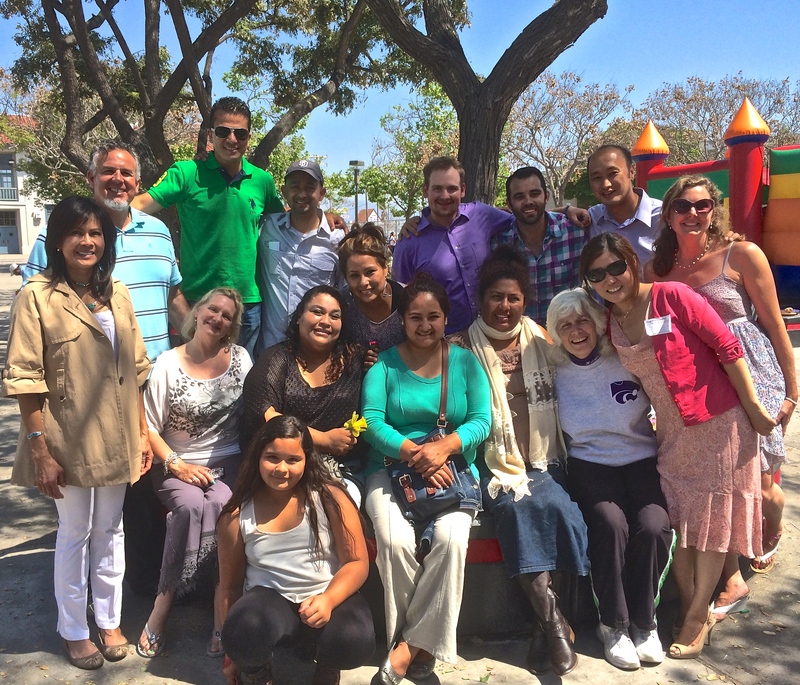 Our service is bilingual, English and Spanish, which adds a degree of difficulty when we are leading the church. I appreciated the opportunity to lead our people to the Lord’s table. It gave me the opportunity to reflect on our unity in Christ. 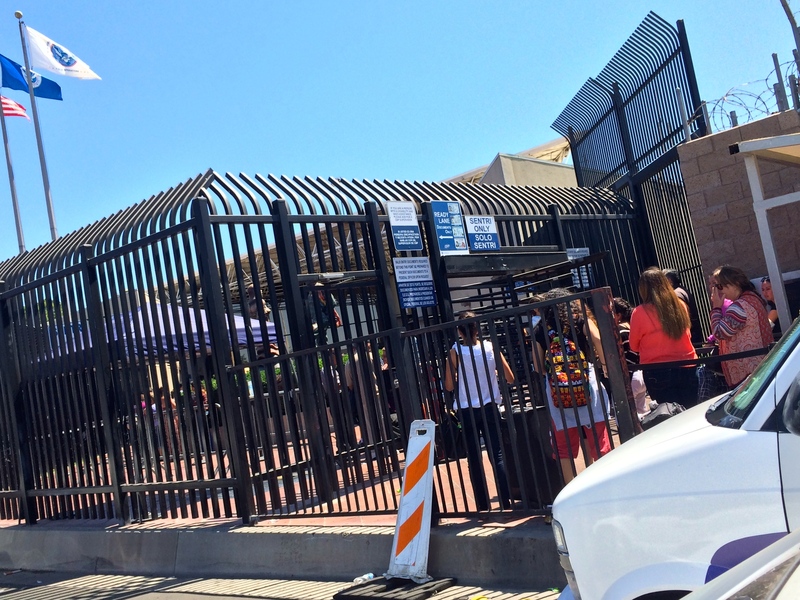 People at the border waiting to cross into the U.S.A. When I go to Mexico I see the fence or wall that separates our two countries. It’s a reminder of the division between Mexico and the United States. Even in our own country there are many things that serve to divide us: race, culture, status, etc. The Apostle Paul speaks of how Christ broke down the wall that divides us. He makes us one in the family of God. for in Christ Jesus you are all sons of God, through faith. For as many of you as were baptized into Christ have put on Christ. There is neither Jew nor Greek, there is neither slave nor free, there is no male and female, for you are all one in Christ Jesus. And if you are Christ’s, then you are Abraham’s offspring, heirs according to promise. 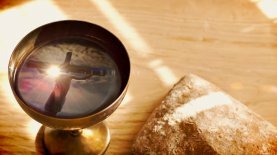 The Lord’s Supper, the communion table is a beautiful picture of our unity in Christ. We are all sinful needy people, who depend on a Savior, who is Christ Jesus our Lord. In the Lord’s Supper we are remembering what Christ did for us on the cross. We are also proclaiming the Lord’s death until he comes. There is unity at the cross. Harbor Mid-City has been going through a difficult season. In part this is due to the difficulty of bridging the gap between the Hispanics in our church and the English speakers. Last Sunday we had a time of corporate repentance with foot washing. It was a beautiful expression of the love of Christ. We admitted that we had failed to love our brothers and sisters in the ways we should have. We confessed together how we hurt one another. People expressed their faults. Many tears flowed that evening as God’s Holy Spirit came in and began to repair and restore broken relationships. Healthy relationships are not easy to maintain, and it’s even harder when we seek to do this across cultures and languages. One day we will all be standing before the throne of the Lamb of God worshipping together. We ask at Harbor, “why not now? Why can’t we see people from different nations, cultures and languages worship together in unity now?” This was the vision that God gave pastor, Stephen Phelan when he started the church. Pray with us that this vision will be a reality in our church as we seek and serve our savior and one another. Are You Living Worthy of the Gospel? Paul exhorts the Philippians to live their lives worthy of the gospel. I had the great opportunity to preach on this passage this past Sunday. I love Paul’s pastoral heart. His concern the church in Philippi. The book of Philippians is part of Paul’s prison epistles. He was concerned for the churches that he started. So he encouraged them to stay strong in their faith and to walk in a way that honors God. I like the thought of living worthy of the gospel. On the one hand, we know that we can’t live in such a way without the gospel deeply penetrating and permeating our lives. We strive, but in his grace. We are not worthy of the gospel in and of ourselves, and Paul’s not trying to say that we should be. Rather he is stressing now that you have received the gospel of Christ, keep moving forward in his strength. Don’t settle for a mediocre Christian life. Grow in the rich soil of his grace. I pray this will be true of those in the churches we are working with on the border. I also pray that it will true for you. I Wish Every Day was Easter! 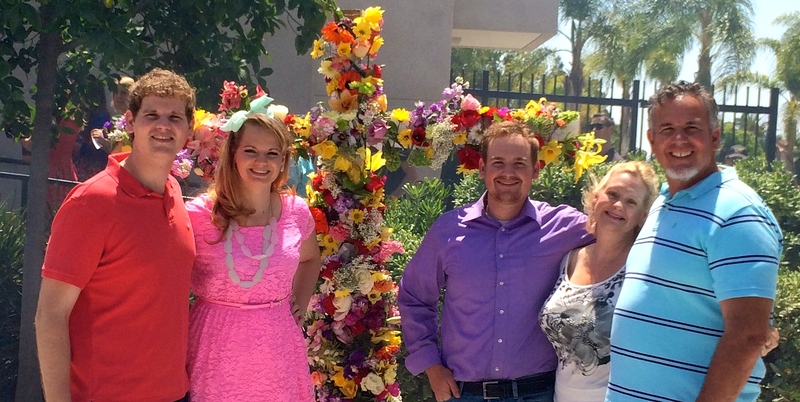 We celebrated a wonderful Easter with our friends from Harbor Mid-City. Easter Sunday is such an exciting day. I love the excitement that surrounds the resurrection. All the energy that the visitors bring. You can feel and hear the joy as we sing. I think I’m not the only one that loves Easter. I can hear it in the voice of those directing the worship. Even during the announcements there is more energy. It’s an uplifting day, because of all that Easter Sunday represents in the resurrection of Christ. Christ paid it all on the cross. He defeated sin, death and Satan through the cross and his resurrection. Hallelujah what a savior! The Spring weather also adds to my enjoyment of this special day. After the service today, we all enjoyed a delicious meal catered by Phil’s BBQ. It was a truly special and blessed day. O Lord, give us more times of worship like we experience on Easter! Danny Kim, who directs worship and communications at Harbor Mid-City put together an uplifting video about the transformation that Christ brings. It’s part of the Easter story. Thus it is written, that the Christ should suffer and on the third day rise from the dead, and that repentance and forgiveness of sins should be proclaimed in his name to all nations, beginning from Jerusalem. I hope you enjoyed your Easter. We are the Easter people. It’s been hard to write about ministry happenings while we’ve been going through this trial. I’ve found it hard to focus, and believe it our not, it’s emotionally draining. The good news is that things are getting better. We are not out of the woods yet, but there is greater hope! Thank you Jesus for your faithfulness. I met with my good friend and the lead pastor of Harbor Mid-City church, Stephen Phelan today. The time we spent together was a real encouragement to me. I’m finding as I travel this road that knowing that he and many others are concerned for us and praying for us lifts me up. The day before I saw Stephen I spent some time with one of my close friends, Tom Steller. Thank you Lord for the special friends who help bear our burdens and walk on this journey with us. When I was with Stephen I shared with him that we’ve seen the Lord bless us more and bring us more fruit in ministry this last year than we’ve experienced in a while. On the other hand, we’ve also had some huge trials in our family over the last several months. It shouldn’t be a surprise that we are in a battle. Our enemy doesn’t play fair. It is also true that we live in a broken sin filled world. Another friend sent us a couple of inspiring verses that go a long ways in giving us a greater and more positive perspective. One of the things I like about Jesus’ words in John is that the trials aren’t a surprise to Jesus. He says we will experience tribulation. It’s just a part of life, but he doesn’t leave it there. There is hope, because Christ overcame the world. Jesus gives us hope. When you feel pummeled by the trials that come your way remember the risen savior. Look to Jesus. Lord, whenever I am afraid I will trust in you (Psalm 56:3). God is building his church, and things are looking brighter. My family and I are grateful for all the support and prayers we’ve received. We definitely do need others. Thank the Lord for the great friends he has given us. 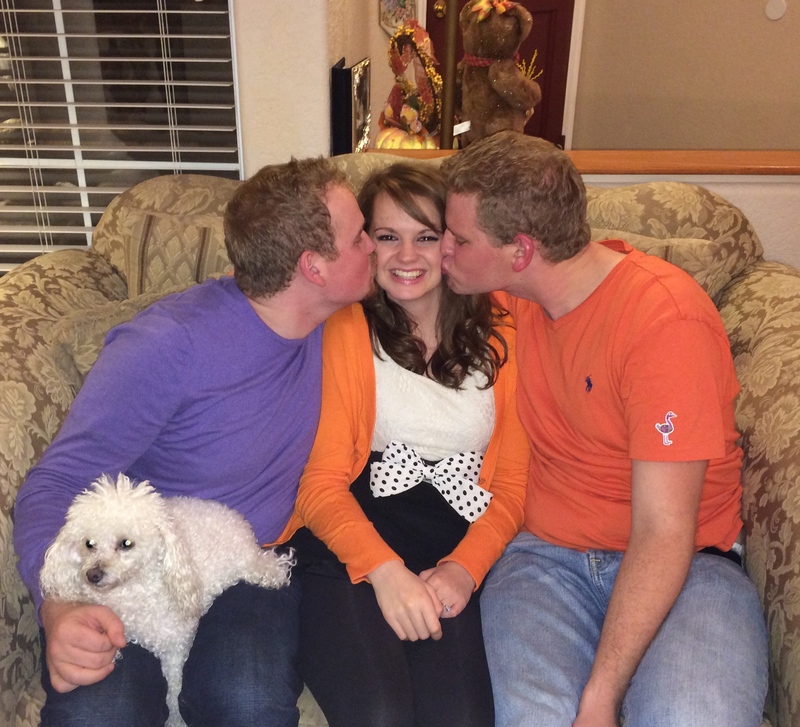 There are so many things to be thankful for as I think back on 2013! I shared some of the reasons I am grateful for God’s grace in the way he worked and used us this past year in my last post. 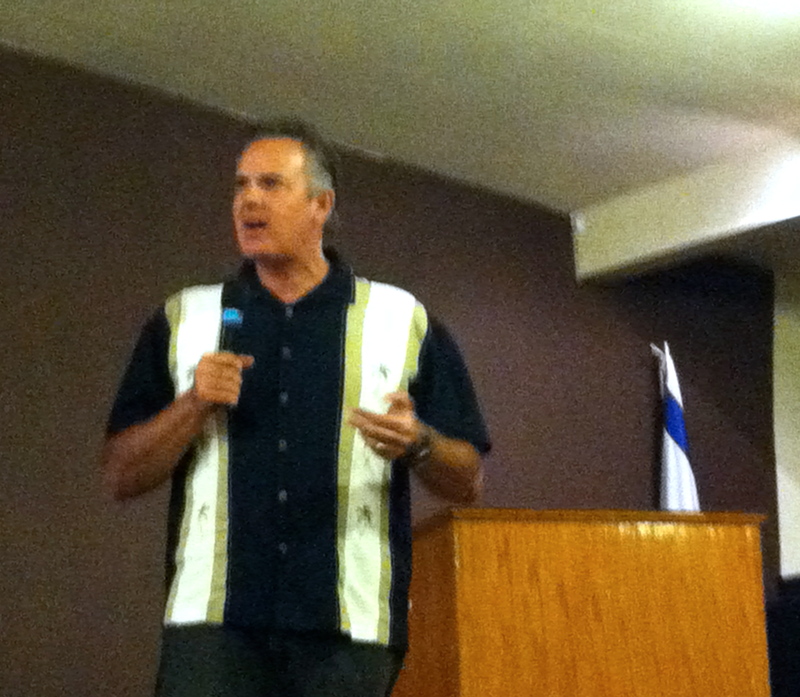 One of the ministries that encouraged my heart was mentoring and coaching pastors. Dawn and I just love to be able to love on the pastors and their wives. I suppose a big reason for this is the way God has wired us. He’s given us a passion for coming alongside and encouraging pastors. I also think it is one of the most strategic things we can do, as it provides the opportunity for us to influence the leaders. Our prayer is to see a church planting movement spread along the San Diego – Tijuana border that will eventually fill all of Baja California. For that to happen we need a team of strong godly leaders. 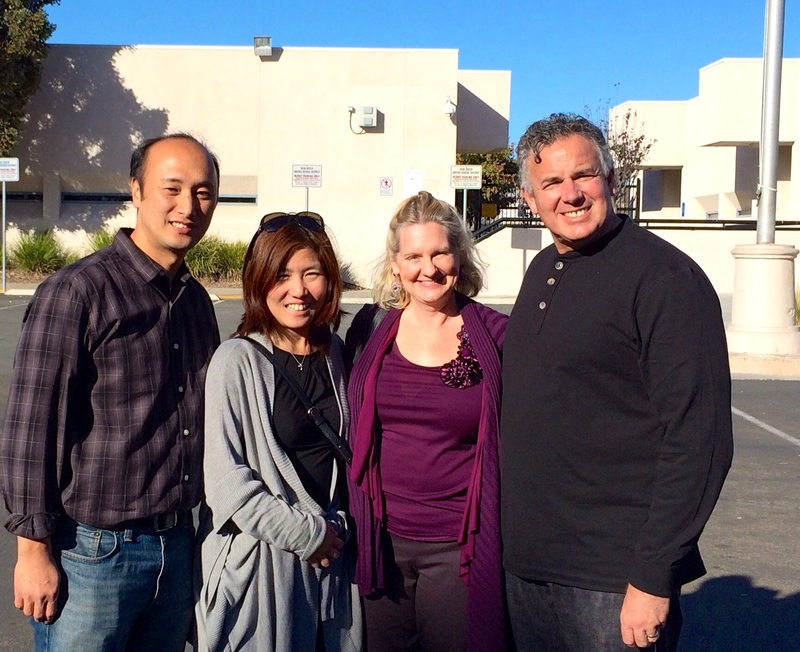 The Lord gave us the opportunity to work with a number of pastors and their wives, but the one’s that we’ve gotten closest to are Daniel and Yolanda Nuñez leader of Lo Mejor del Trigo (LMT), Roberto and Mana Shim at Harbor Mid-City, Rodrigo and Nancy Vallarta at LMT Pípila, Abraham and Martha Velazquez at LMT Rojo Gomez, Cesar and Kristina Zavala at LMT Vida Abundante and Leo and Gloria Nevarez at LMT Rosarito. There are others that we are starting to get to know better and we look forward to ministering with them. It fills our heart with joy to see how the Lord is using these men and women, and how the Lord is blessing them as they serve him. 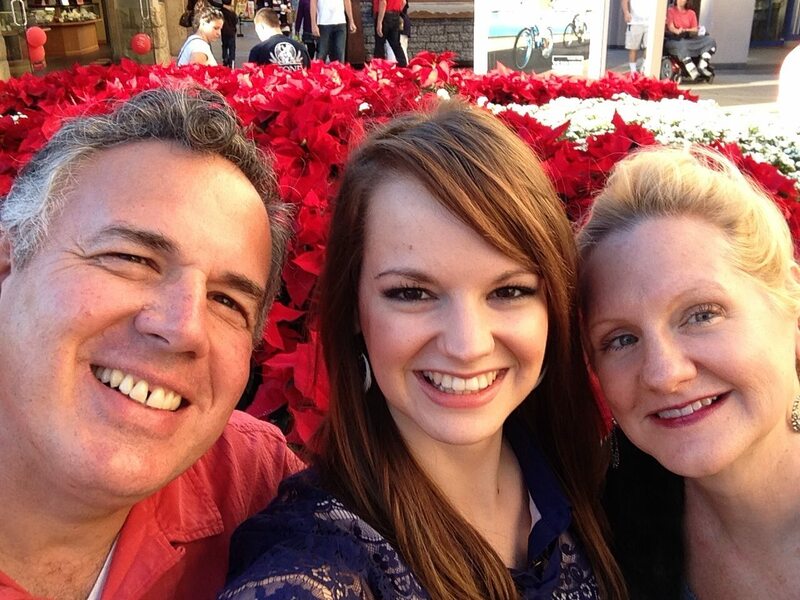 The churches these friends are leading are doing wonderful things. 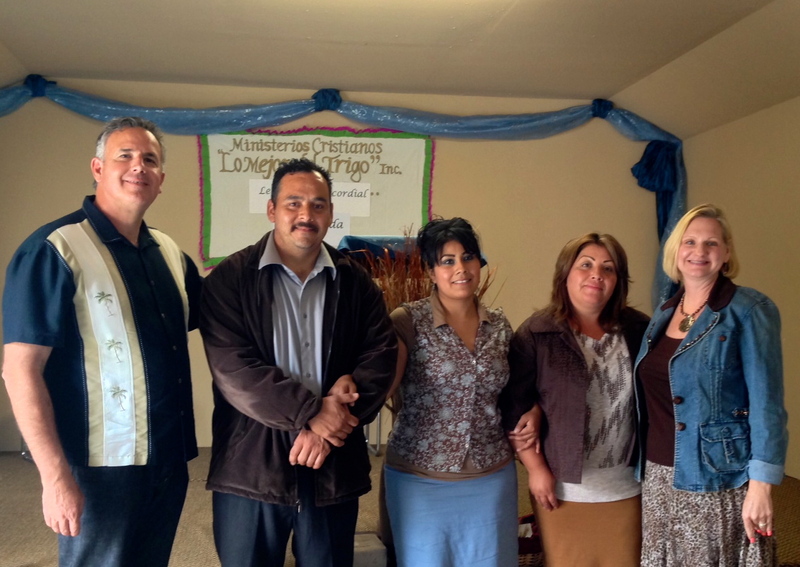 They are preaching the gospel and seeing families won to Christ and growing in their faith. They are feeding the hungry, ministering to homeless and those caught in a lifestyle of addiction. I’m so thankful for all God is doing, and for the opportunity for Dawn and me to minister in our sweet spot. It also is further confirmation that we are in the right place, and doing the right things. 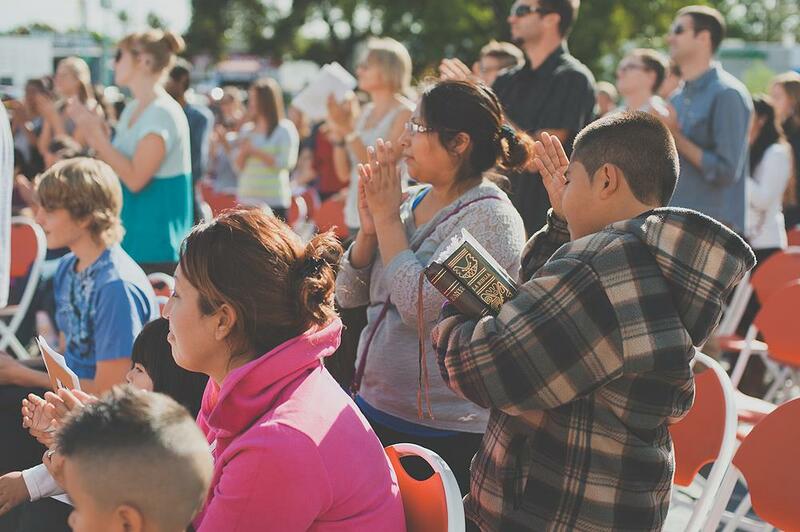 Thanks for praying for the expansion God’s kingdom on the border and beyond! This week I’ve posted a couple of times (Christmas in the City and The Importance of Confession) about the inspiring outreach we held this past Sunday. 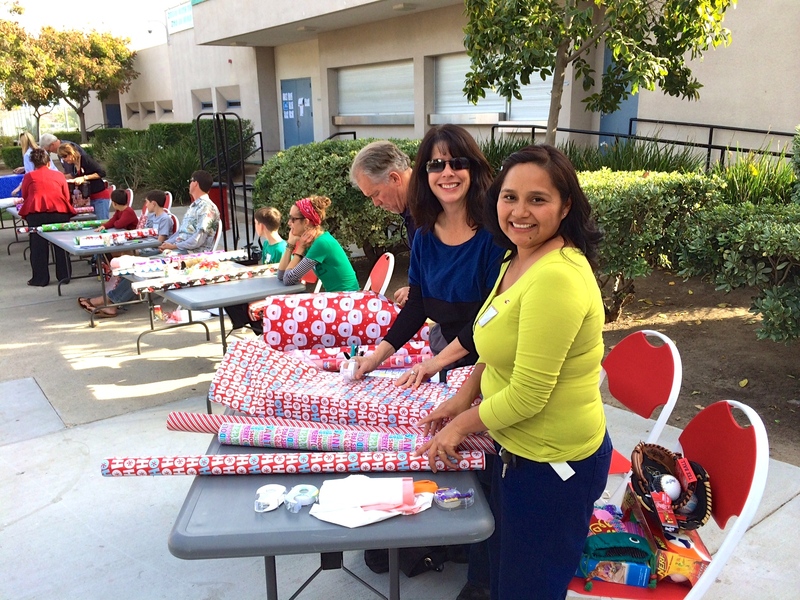 Christmas in City Heights was amazing to be a part of. It was such a great way to bless the community, and share the gospel of Christ. We were thrilled to see so many receive the greatest gift as 17 people gave their lives to Christ! 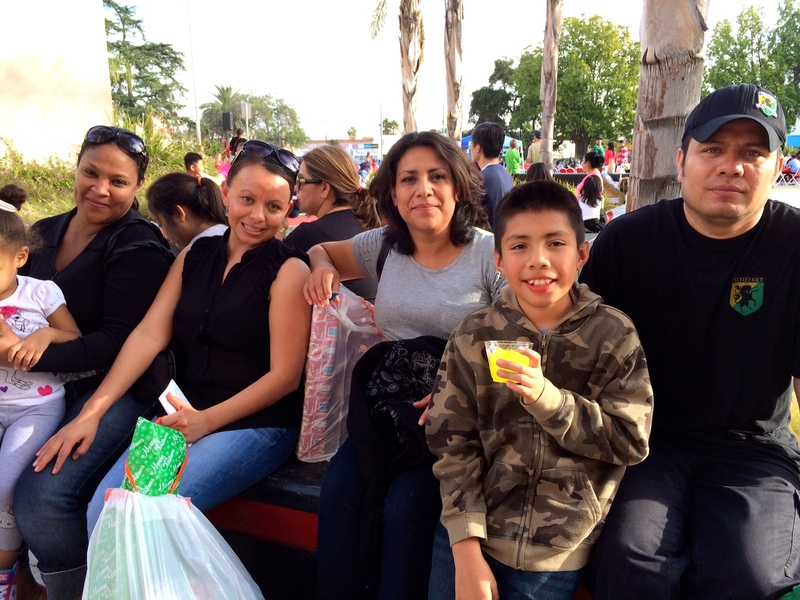 Here’s a short video that will give you a glimpse into the some of what happened at Christmas in City Heights. Please pray for us as we follow-up on those that came to Christ. We are praying that they will get involved in the life of the church, and grow in their new found faith! Today (Sunday) was one of those banner days! I wish there were more days like today, but I cherish them when they come. 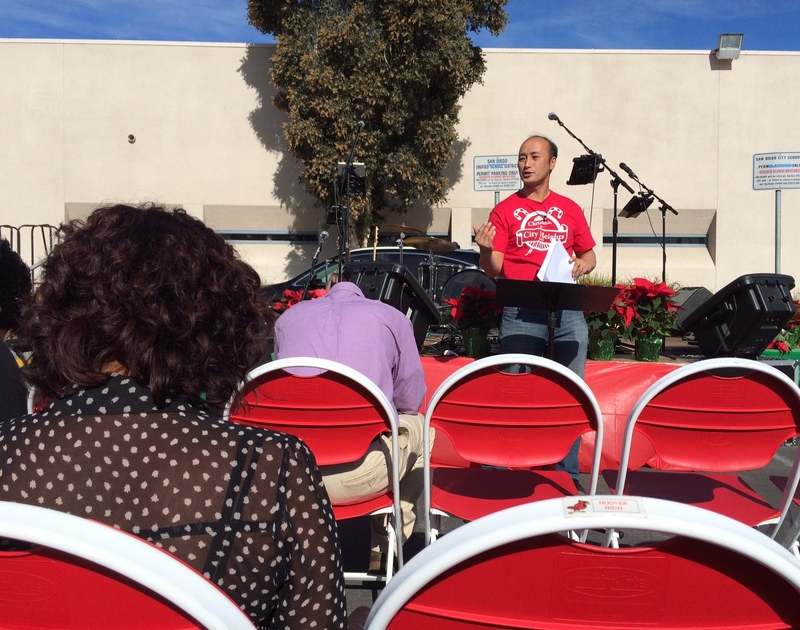 We at Harbor Mid City held a special outreach event to the community of City Heights called, Christmas in City Heights. The idea behind it is that people from the church purchase gifts through donations and fund-raisers. Then the people in the church invite friends in the community who are from low-income families. There are a limited number of invitations given. Our desire is to help families that someone in the church has a relationship with. It takes a tremendous amount of planning, and more than a hundred volunteers to pull the event off. We invite these families to worship with us. It’s a great time of celebration. After church we open the Christmas store, where parents can buy presents for their children at much reduced prices. Then we gift wrap the presents for them. It’s such a great way to bless the community. I must admit that despite such a wonderful event, and such a wonderful day that I had a bad attitude earlier in the day. God’s Spirit convicted me, and I confessed my struggles. It seemed like after that the clouds parted and skies were blue the rest of the day. In the afternoon a group of us who were part of the prayer team decided to move our place of operation, because we weren’t getting any “business,” so to speak at the prayer booth. We placed ourselves near the exit, so when the people had already received their gifts we could talk to them. As they were walking out we asked them if we could pray for them. Everyone of them said they would like for us to pray for them, once we changed our location. Wow! God really opened the floodgates after that. Dawn and I along with others on the prayer team spent more than two hours interacting and praying for people. We talked to them about the greatest gift that Christ came to bring through his incarnation, perfect life and sacrificial death on the cross. The amazing thing was that these people were ripe for the harvest. A number of them prayed to receive Christ with us. I counted at least 15 that gave their life to Christ, but I believe there were more. They were all Spanish speakers, because they make up the majority of the population in City Heights. Some were moved to tears as they heard the good news, and received the gift of life. Pastor Roberto Shim preaching the Good News! All of the people and stories behind them were unique and beautiful. I think my favorite one was with a woman named Elena. She came, because she used to clean the home of one of the woman in our church. Roberto Shim our Spanish-speaking pastor was sharing the gospel with her, and he invited me over. I had the privilege of being there and supporting them as Roberto explained the gospel message to Elena. Roberto asked her if she wanted to pray to receive Christ, and she responded, “yes”. Then as Roberto was leading her in prayer, she began to cry, so I called Dawn over to comfort Elena. We continued and Elena with tear-filled joy gave her life to Christ! Then after a while we saw the woman, who invited Elena to the event. Her name is Ursula. Roberto told Ursula that Elena had come to Christ. Then Ursula began to cry, which touched Elena so that she too wept. It was beautiful to see God work through so many people. The Lord uses the body of Christ working together in harmony to touch others with the gospel. 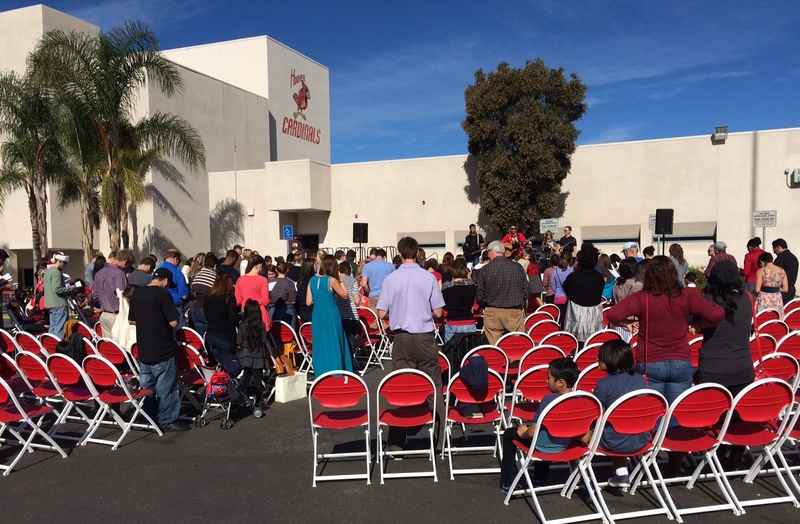 The light of Christ shone brightly today in City Heights, and I pray it will only grow to shine brighter. Thank you for standing with us in prayer. These things only happen as God in his grace moves through his church as we come together to seek and serve him.